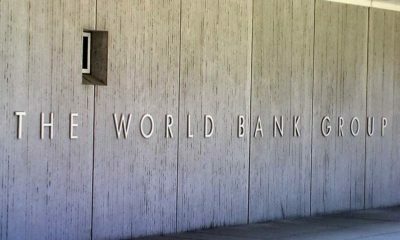 The Asian Development Bank’s (ADB) Board of Directors has approved a $100 million results-based loan as additional financing for the Government of Sri Lanka’s efforts to develop skills to meet labor demands, support economic diversification, and enhance productivity in the country. This lack of skilled labor is hurting the Sri Lankan economy, with the country’s private sector considering this as a key constraint to business growth. The unemployment rate is also high, with one out of five Sri Lankans aged 15-24 years out of work. Meanwhile, only 35.9% of women are included in the labor force despite outperforming male counterparts academically at every level. Equipping youth, especially young women, with employable skills is crucial to decrease youth unemployment and prepare the workforce for a high value-adding economy. The additional funding will enable the government to continue implementing the Skills Sector Development Program (SSDP), which is supported by a $100 million ADB loan approved in 2014, through 2020. SSDP aims to significantly improve the quality of TVET provided to young people in Sri Lanka to increase their employability, while also enhancing partnerships with the private sector for better TVET planning and provision to align skilled labor supply with market demand. The program is also increasing the number of TVET graduates and improving policy, institutional, and operational reforms to support the country’s skills sector. The program’s first phase (2014-2016) has been performing well, with the employment rate of technical and vocational education and training (TVET) graduates rising from 50% in 2012 to 57% in 2015, exceeding the 55% target. The additional financing will expand successful program activities and accelerate the pace of reform initiatives. ADB will also administer a $3 million grant from the Japan Fund for Poverty Reduction (JFPR) to complement existing assistance to strengthen private sector engagement and women’s participation in TVET and employment in Sri Lanka. JFPR provides direct grant assistance to the poorest and most vulnerable groups of ADB’s developing member countries while fostering long-term social and economic development. 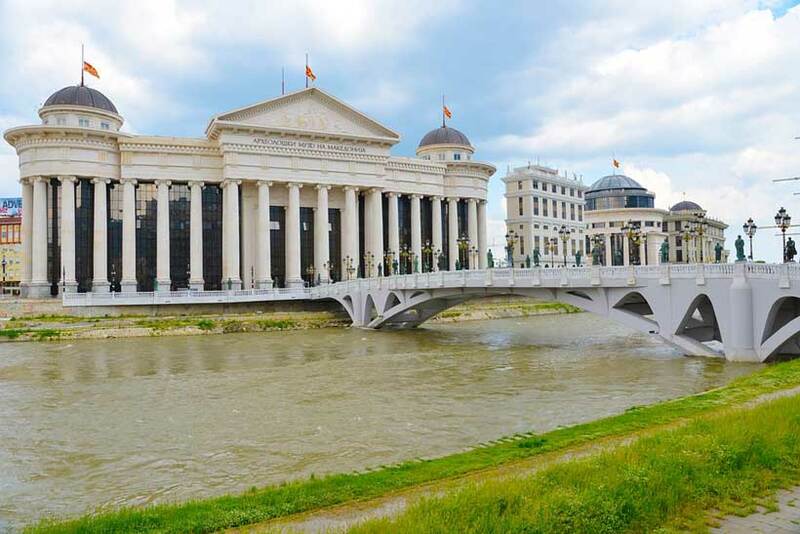 Supporting faster, inclusive, and sustainable growth in the Republic of North Macedonia is the objective of the new four-year Country Partnership Framework (CPF) endorsed today by the World Bank Board of Executive Directors. The strategy aims to support the Government’s program and medium-term strategy by creating greater opportunities to improve citizen’s living standards and accelerate income convergence with the European Union (EU). The new CPF has three focus areas. The first area will improve the environment for a competitive private sector by boosting connectivity and improving access to markets, helping businesses become more innovative, productive, and competitive, and creating more and better jobs for people. The second area will support investments in human capital, with a focus on improving education and skills training, providing better access to social services for the most vulnerable people, and encouraging more inclusive participation in labor markets. 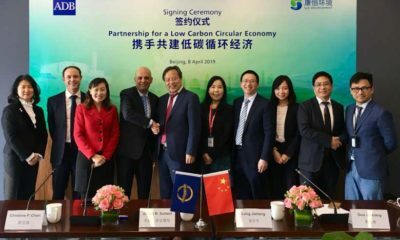 The third area will reinforce fiscal and environmental sustainability by strengthening public financial management and accelerating the country’s transition to a more sustainable energy mix. Climate change challenges will be addressed through investments in energy efficiency, renewable energy and climate resilient transport and agriculture. The strategy, across all three focus areas, supports policy reforms to advance North Macedonia’s European Union accession agenda, complementing and reinforcing the efforts of the Government and other development partners. As part of the CPF, IFC, a member of the World Bank Group, will seek further opportunities to mobilize foreign direct investment to generate growth and exports and improve the participation of SMEs into the supply chain. IFC will also support trade facilitation and logistics to improve connectivity with export markets and enlist the private sector to support energy transition. Hydrogen offers great potential to help green the energy sector and diversify the economy; however the technology’s development needs to be supported by tailored policies and closer collaboration between governments and industry to ensure everyone can benefit from it. This is a key conclusion of a new report launched today which is based on the outcomes of an International Expert Group Meeting. 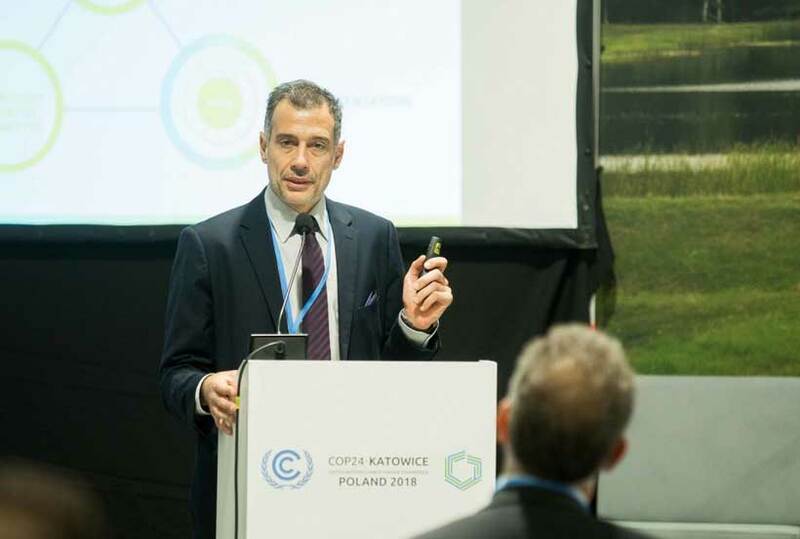 This meeting, which took place at the UN COP24 climate negotiations in Poland in December 2018, focused on the current hydrogen technology advancements and the pathways to develop the climate neutral technologies. The meeting was organized by the United Nations Industrial Development Organization (UNIDO), Poland’s Ministry of Foreign Affairs and Ministry of Energy and the Permanent Mission of Japan to the International Organizations in Vienna. Hydrogen is the most abundant chemical substance in the universe. Thanks to its energy storage capabilities, it has an outstanding potential, to provide stability for the renewable energy sector, which currently lacks sufficient storage to provide grid balancing. Current advances in its production through electrolysis and related technologies, including fuel cells, as well as its versatile characteristics, offer holistic solutions to reduce global GHG emissions. The transition to hydrogen societies supports a true paradigm shift in the area of more efficient energy storage, especially for renewable energy on industrial scale. It furthermore offers an opportunity for an integrated energy system based on renewable energy through sector coupling. While the technology is maturing, the policy and regulatory framework remains insufficient throughout the world. Consequently, the recipe for success calls for the continuous partnership between the government, industry and academia. “In the hydrogen economy, two hands are needed to clap: industry and policymakers,” said Eric Sebellin, Vice president for Markets and Strategy at Air Liquide. The report lays out the necessary milestones to achieve the hydrogen societies and includes a number of regional transition strategies and case studies to support sustainable development efforts and foster stronger cooperation with developing countries to tackle their environmental challenges. The InvestEU Programme will bring together under one roof the multitude of EU financial instruments currently available to support investment in the EU, making funding for investment projects in Europe simpler, more efficient and more flexible. The InvestEU Programme consists of the InvestEU Fund, the InvestEU Advisory Hub and the InvestEU Portal. It will further boost job creation and support investment and innovation in the EU. 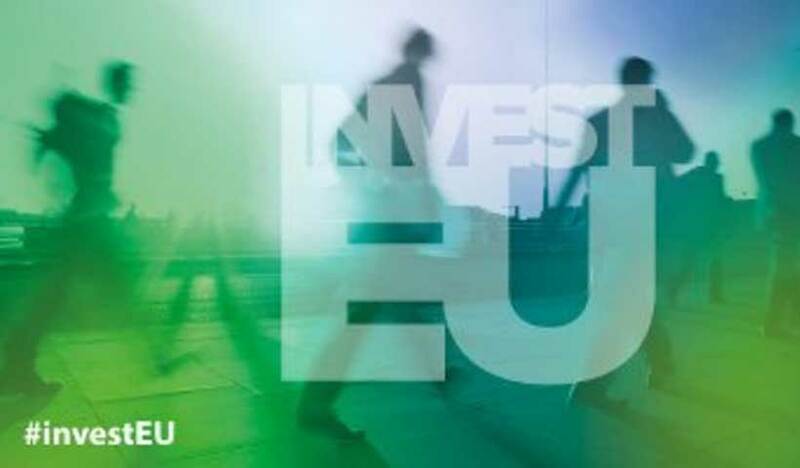 InvestEU will run between 2021 and 2027 and it builds on the success of the Juncker Plan’s European Fund for Strategic Investments (EFSI) by providing an EU budget guarantee to support investment and access to finance in the EU. InvestEU aims to trigger at least €650 billion in additional investment. The InvestEU Fund will support four policy areas: sustainable infrastructure; research, innovation and digitisation; small and medium-sized businesses; and social investment and skills. InvestEU will also be flexible: it will have the ability to react to market changes and policy priorities that change over time. The InvestEU Advisory Hub will provide technical support and assistance to help with the preparation, development, structuring and implementation of projects, including capacity building. The InvestEU Portal will bring together investors and project promoters by providing an easily-accessible and user-friendly database. Why do we need InvestEU? The investment conditions in Europe have improved since the Investment Plan for Europe, the Juncker Plan, was launched, thanks to structural reforms carried out by the Member States, a more a favourable economic situation and interventions such as EFSI. To help investment recover further, InvestEU will continue the work of the Juncker Plan to mobilise public and private resources in the EU. It will help to address market failures and investment gaps to foster jobs and growth and to reach EU policy goals such as sustainability, scientific excellence and social inclusion. How will the InvestEU Fund work? The InvestEU Fund will mobilise public and private investment through an EU budget guarantee of €38 billion that will back the investment projects of the European Investment Bank (EIB) Group and other financial partners, and increase their risk-bearing capacity. The financial partners are expected to contribute at least €9.5 billion in risk-bearing capacity. The guarantee will be provisioned at 40%, meaning that €15.2 billion of the EU budget is set aside in case calls are made on the guarantee. The InvestEU Fund will be implemented through financial partners who will invest in projects using the EU guarantee. The main partner will be the EIB Group, which has successfully implemented and managed EFSI since its launch in 2015. In addition to the EIB Group, International Financial Institutions active in Europe – such as the European Bank for Reconstruction and Developments (EBRD), the World Bank and the Council of Europe Development Bank – and National Promotional Banks will have direct access to the EU guarantee. The InvestEU Fund will also feature a Member State compartment for each policy area, meaning that Member States may add to the EU guarantee’s provisioning by voluntarily channelling some of their Cohesion Policy funds to these compartments. Like this, Member States will benefit from the EU guarantee and its high credit rating, giving national and regional investments more firepower. What’s the advantage compared to the status quo, especially for the final beneficiaries? Creating one coherent programme benefits from economies of scale. It achieves greater risk diversification, has a more integrated governance structure, and mainstreams cross-sectorial policies, bringing a multitude of instruments under one single structure. Using a budget guarantee – and not only financial instruments or grants – can help increase the impact of public funds. In this way we can do more with less. The new approach also helps to reduce uncertainty for final beneficiaries and financial intermediaries about which instrument is the best for them. Under the InvestEU Fund, there will be a single programme with a strong identity and a single set of coherent requirements (for eligibility, monitoring and reporting), which will apply throughout the financing chain to the benefit of financial intermediaries and final beneficiaries. InvestEU will eliminate overlaps and ensure synergies both for financing and advisory services. The InvestEU Advisory Hub will integrate 13 different advisory services into a one-stop-shop. Also, when blending grants from other programmes like Horizon Europe, the Single Market Programme or the Connecting Europe Facility with support from InvestEU, InvestEU rules will apply for the entire project. This is a major simplification compared to today. The Commission can adjust these amounts by up to 15% in each policy window to adapt to evolving policy priorities and market demand. As in the case of EFSI, a Steering Board will give strategic direction on programme implementation. It will be composed of the Commission (four members), the EIB Group (three members) and other implementing partners (two members – International Financial Institutions such as the European Bank for Reconstruction and Development or National Promotional Banks), as well as a non-voting expert appointed by the European Parliament. The Steering Board will strive to take its decisions by consensus. An Advisory Board will assist the Steering Board. It is composed of representatives of implementing partners (one member each) and Member States (one member each). The agreement between the European Parliament and the Council extends membership to the Committee of the Regions and the Economic and Social Committee (one member each). The Commission will be able to consult this board when preparing and designing new financial products or to follow market developments and share information. This Advisory Board will be able to issue recommendations to the Steering Board on the implementation and functioning of the InvestEU programme. An Investment Committee will approve the individual guarantee requests. This Committee is composed of external experts selected in an open process, and remunerated by the EU budget. The Investment Committee will be assisted by a secretariat, which will be staffed by and located in the Commission. The secretariat will provide administrative support for the organisation of meetings, agendas, minutes and interact with the implementing partners as appropriate to ensure the files transmitted to the Investment Committee are complete. The EIB as the strategic partner may send its guarantee requests directly to the Investment Committee. This will be subject to notification to the secretariat, based in the Commission, which will assume all horizontal tasks and handle the guarantee requests of all other implementing partners. Who will choose the InvestEU projects? Just as is the case under EFSI, the Investment Committee will select projects based on compliance with the eligibility criteria set by the Regulation as well as the Investment Guidelines, with a specific focus on additionality. Members of the Investment Committee will be external experts with expertise from the relevant sectors. The Committee will meet in four different configurations corresponding to the policy windows. The Committee’s decisions will be made independently, with no political interference. In practice, Commission services will first verify the consistency of the proposed operations with EU law and policies. Projects passing this initial check will be passed on to the Investment Committee. The Investment Committee will approve the use of the EU guarantee for financing and investment operations, taking its decision after assessing the project scoreboard presented by the implementing partners. Just as under EFSI, all decisions approving the use of the EU guarantee will be publicly available. What will be the InvestEU eligibility criteria? help meet EU policy objectives. The eligibility criteria are defined in the Financial Regulation. Why does EFSI cease to exist? Why not just create an EFSI 3.0? EFSI was launched in July 2015 to boost investment and stimulate economic growth and employment in the EU, at a time when Europe was still recovering from the financial and economic crisis. 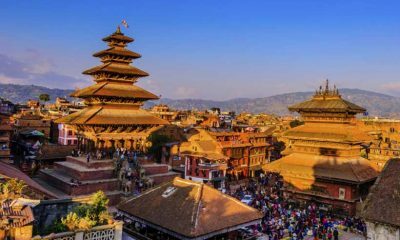 It was originally foreseen to have a short investment period to maximise the impact, until July 2018. Due to its success, EFSI was expanded in size and extended in duration in December 2017. Its investment period now lasts until end-2020, the end of the current long-term budget, or Multiannual Financial Framework (MFF). No new investments can be undertaken under EFSI after 2020 but – as with most EU financial instruments – the liabilities run for much longer. The InvestEU Programme builds on the success of EFSI, and will continue to create and support jobs across the EU by following the same model based on an EU budget guarantee. Is InvestEU taking budget from other financing programmes? What will happen to programmes like COSME and InnovFin? The InvestEU Fund will bring under one roof the 14 EU financial instruments currently supporting investment in the EU, giving it a single, strong brand. The InvestEU Fund will capture the objectives of existing instruments such as COSME and InnovFin and be able to boost investments even further thanks to the larger scale and efficiencies of the single InvestEU Fund. The four InvestEU Fund policy areas place emphasis on areas of strategic importance for the EU, with €11.25 billion each of the guarantee earmarked for small businesses and a further €11.25 billion earmarked for research, innovation and digitisation. Can InvestEU financing be blended with EU grants? Yes. Blending can be necessary in some situations to underpin investments in order to address particular market failures or investment gaps. The InvestEU Fund can be combined with grants or financial instruments, or both, funded by the centrally managed Union budget or by the EU Emissions Trading System (ETS) Innovation Fund. Such combinations can create advantages for project promoters in sectors such as transport, research and digital. When a project uses EU grants and InvestEU, the InvestEU rules will apply for the entire project. This means a single rulebook and a major simplification compared to today. What will be the risk profile of investments? What type of investments will the InvestEU Fund be targeting compared to today’s financial instruments? The InvestEU Fund will target economically viable projects in areas where there are market failures or investment gaps. The InvestEU Fund instruments will seek to attract commercial financing to a wide range of operations and beneficiaries and will only support projects where financing could not be obtained at all or not at the required terms without InvestEU Fund support. It will also target higher risk projects in specific areas. In addition, InvestEU places more emphasis on social investment and skills. The allocation for budgetary guarantees and financial instruments in the social sector under the current long-term EU budget amounts to €2.2 billion whereas InvestEU allocates €4 billion of the EU guarantee to this policy area, almost doubling what is currently available. What is the expected multiplier effect for InvestEU? How do you expect to reach €650 billion? Due to InvestEU targeting higher risk innovation projects and SMEs, as well as the greater focus on EU policy objectives, we expect a slightly more conservative multiplier effect than under EFSI: 13.7 rather than 15. That is to say that for every public euro that is mobilised through the Fund, €13.7 of total investment, that would not have happened otherwise, is generated. The €15.2 billion budget earmarked for InvestEU allows the EU budget to provide a guarantee of €38 billion. In addition, each financial partner will be expected to contribute some resources to ensure alignment of interest, adding an estimated total of €9.5 billion, so the total guarantee will be around €47.5 billion. This in turn will be leveraged by each financial partner. This means they can lend more than the guarantee amount. Finally, each InvestEU-backed project will attract other private and public investors, as we have seen under the Juncker Plan, and we expect this will trigger at least €650 billion in total investment. Why is the InvestEU Fund open to other financial partners? Why not work exclusively with the EIB Group, like with EFSI? Given its role as the EU’s public bank, its capacity to operate in all Member States, and its experience in managing EFSI, the European Investment Bank (EIB) Group will remain the Commission’s main financial partner under InvestEU and implement 75% of the €38 billion guarantee. It will also play an important role in the programme governance and implementation. 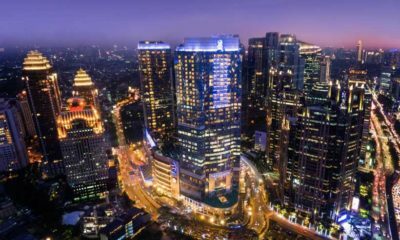 For the remaining 25%, International Financial Institutions and National Promotional Banks, which can offer specific expertise and experience, can become financial partners, subject to conditions. Opening up the possibility to benefit from the EU guarantee to other institutions is driven by the fact that there are other experienced potential financial partners in the EU, which have specific financial or sectorial expertise, deep knowledge of their local market or greater capacity to share risk with the EU in some areas. This approach will enlarge and diversify the pipeline of projects and increase the potential pool of final beneficiaries. The Commission wants to ensure that the beneficiaries of InvestEU can get the best possible support and with easiest access. The InvestEU Fund will therefore be open to other institutions, either multilateral or national institutions. How does an entity become an implementing partner under InvestEU? The European Investment Bank Group – the EU Bank – will be an implementing partner for 75% of the EU guarantee. For the remaining 25% of the EU guarantee, International Financial Institutions (the European Bank for Reconstruction and Development, the Council of Europe Bank, etc.) or National Promotional Banks and Institutions wishing to become an implementing partner must first undergo a so-called Pillar Assessment. This means that, as a prerequisite, they must meet requirements in areas relating to the internal control system, the accounting system, an independent external audit and rules and procedures for providing financing from EU funds through grants, procurement and financial instruments. The process to become an implementing partner consists of three main steps. First, the interested entity needs to submit an application to the Commission. Second, Commission services carry out an eligibility check. If the result is positive, the Pillar Assessment can take place. It is usually carried out by external consultants contracted by the interested entity and lasts between six and 18 months. Third, the Commission issues a call for expression of interest and any entity in the process of passing the Pillar Assessment can apply to become an implementing partner. The Commission will discuss the financial products and negotiate a guarantee agreement with institutions that have answered the call. 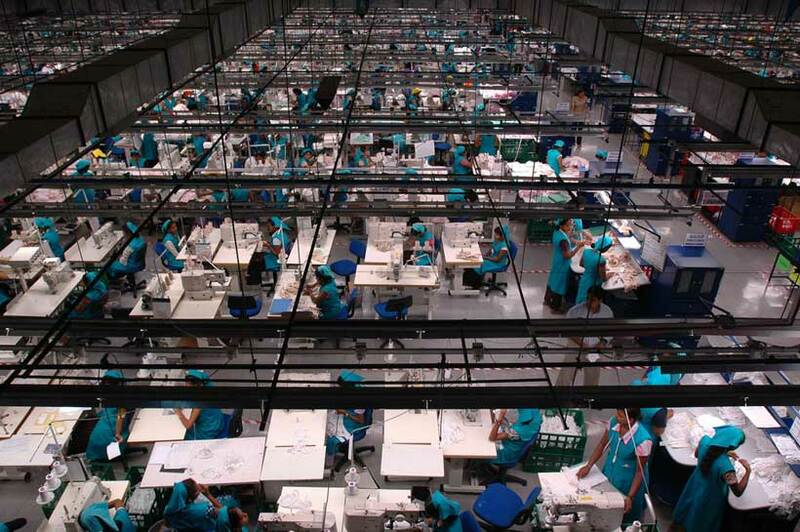 The Pillar Assessment needs to be completed on the day of the signature of the guarantee agreement. How does a company apply for InvestEU financing? Project promoters should apply directly to the EIB, to national and regional promotional banks, or to the national offices of International Financial Institutions such as the EBRD, the World Bank, or the Council of Europe Development Bank. At that stage, the financial partners submit a proposal to the Commission to apply for the EU guarantee. SMEs should continue to apply to their local commercial or public banks whose financial products are covered by the EU guarantee in their country or region. The local intermediary will inform them if a particular financing programme is covered by the InvestEU Fund. How will the InvestEU Programme ensure geographical balance? The InvestEU Programme was designed to ensure it benefits all Member States, irrespective of their size or the development of their financial market. The access through other financial partners – compared to EFSI – should allow the Fund to better serve local needs and to be complementary to other sources of EU funding under shared management. Technical assistance under the InvestEU Advisory Hub will address the specificities of cohesion countries markets and contribute to build up a project pipeline. The opening of the guarantee to national and regional promotional banks aims to better address where the financing needs are and how best to serve them. Finally, the InvestEU Advisory Hub will provide comprehensive project development assistance. It will provide capacity building support to develop organisational capacity and facilitate market-making activities and the collaboration of sectoral actors. The aim is to create the conditions to expand the potential number of eligible recipients in nascent market segments, in particular where the small size of individual projects raises considerably the transaction cost at the project level. What about State aid control? State aid rules are essential to ensure effective competition, so that consumers and businesses get fair prices and wider choice in the Single Market. At the same time, in order to match our InvestEU objectives to address market failures and mobilise private investment, it has to be easy to link up Member State money – which may entail State aid and be subject to State aid rules – with EU funds managed centrally by the Commission, which do not constitute State aid. To further streamline the State aid approval process for such joint funding, in June 2018 the Commission proposed an amendment to one of the Council Regulations governing EU State aid control. The Council adopted this amendment in November 2018. This revised Enabling Regulation allows the Commission, subject to certain conditions, to exempt Member State funding channelled through the InvestEU Fund or supported by the InvestEU Fund from the requirement to notify such interventions to the Commission prior to their implementation. The funding from Member States would be declared compatible with EU State aid rules, as long as certain clear conditions are fulfilled. The Commission proposal thus ensures that State aid rules can help facilitate a seamless deployment of the InvestEU fund. This continues the spirit of the Juncker Commission, which has already made sure that 97% of State aid can be implemented without any involvement of the Commission. Who will be accountable for the investments made? The financial partners in InvestEU will be responsible for the financing and investment operations under the InvestEU Fund since their governing bodies take the final decision on the financing. The Investment Committee, composed of independent external experts, will approve the use of the EU guarantee under the InvestEU Fund to support those operations ahead of the final decision by the financial partner. What role will the European Parliament and Council play? The European Parliament and the Council will oversee the implementation of the InvestEU Fund through annual reporting to the budgetary authority and through the discharge procedure. They will also be present in the governance bodies of the programme – Member States in the Advisory Board, and a non-voting expert appointed by the European Parliament in the Steering Board. The implementation of the InvestEU Programme will be evaluated through an interim and a retrospective evaluation. The conclusions of the evaluations will be communicated to the European Parliament and Council so that they can feed into the decision-making process in a timely manner.